 The busiest time of the year for wildlife rehabilitation centers is between April and August, a period we dub "baby season." Baby season is simultaneously the most joyful and frustrating time of year for us as hundreds of orphaned baby animals are brought to rehab. Every summer, we are overwhelmed by the sheer number of orphaned patients, yet we become even more determined to raise them responsibly. To raise a wild animal responsibly is to always keep in mind the ultimate goal, that is, to release them back into the wild. As such, we take pains to provide them with the care they need while not imprinting them. Imprinting is when an an animal forms a longterm attachment to another being it identifies as a parent. Many rehabilitators have witnessed disastrous effects when a wild animal imprints on its human caretaker. Release into the wild becomes almost impossible as the animal finds it difficult to form attachments to others within its species and ultimately is rejected by members of its species. Many species of birds require social bonds to thrive in the wild. Among other things, social bonds offer protection, shared resources, etc. Crows, for example, form complex familial bonds and communities, teaching their young survival skills such as predator identification and how to find shelter. 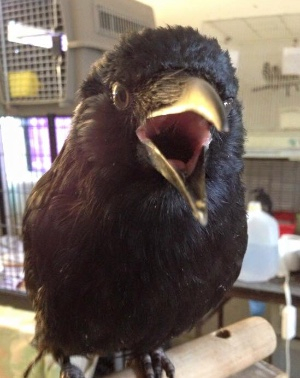 A crow that is imprinted to a human could risk being ostracized and thus, be unable survive without the support of a community of crows. Part of our team's training involves understanding the line between care and coddling. 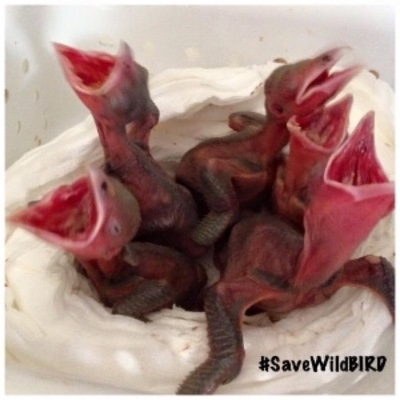 We take measures to make certain the risk of imprinting a bird is minimal, such as housing birds with others of its species, not holding a young patient for too long, weaning as soon as possible; generally minimizing unnecessary handling of young birds. While it is tempting to cuddle a young, orphaned wild animal for long periods of time, we always keep in mind that doing so could ultimately spell out death for our charge.